Ships today if you order in the next 4 hours 48 minutes. Auto Ship & Earn + 276 Points What's this? 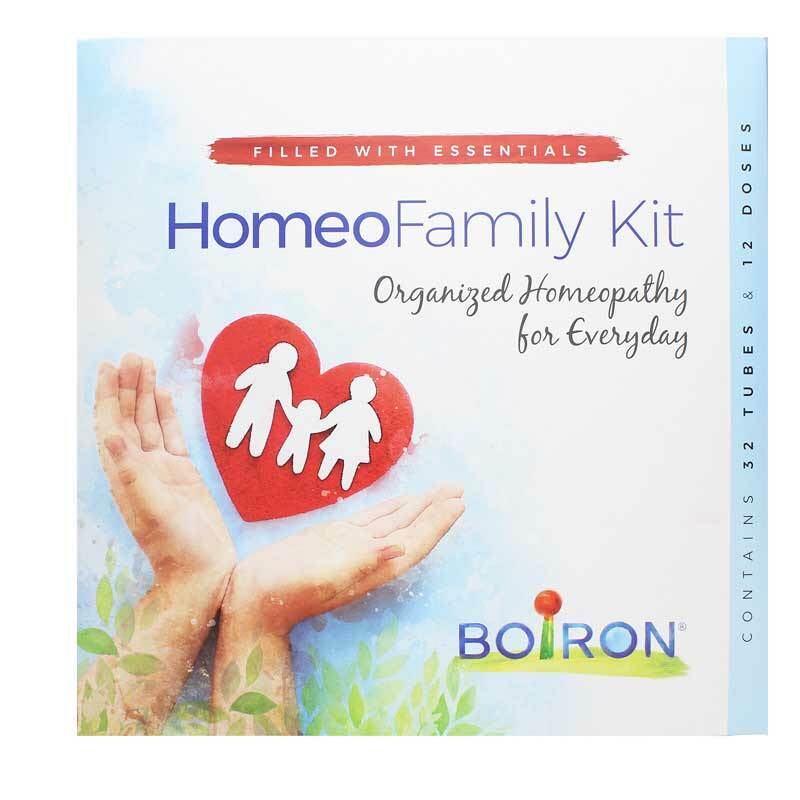 The HomeoFamily Kit from Boiron is a plastic case with three drawers intended to help families keep their homeopathic products organized. This kit includes12 tubes (2 boxes) of Oscillococcinum. Oscillococcium is intended to help relieve flu-like symptoms, such as aches, fatigue, chills, and fever. This case is 7" wide by 10" deep by 5 3/8" tall. It holds 48 multi-dose tubes and 18 unit-dose tubes. Great Kit at a Great Value! I am new at homeopathy, and I was just going to piece together my own starter kit. Then I found this kit that had almost everything on my list. It was much less expensive on this site than on others, and I was incredibly impressed by the speedy shipping, careful packaging and overall positive experience. I will definitely be shopping at Natural Healthy Concepts again! Great selection at an unbeatable price. Now all you'll need are the cell salts. I wish they would also offer the option of 200CH.